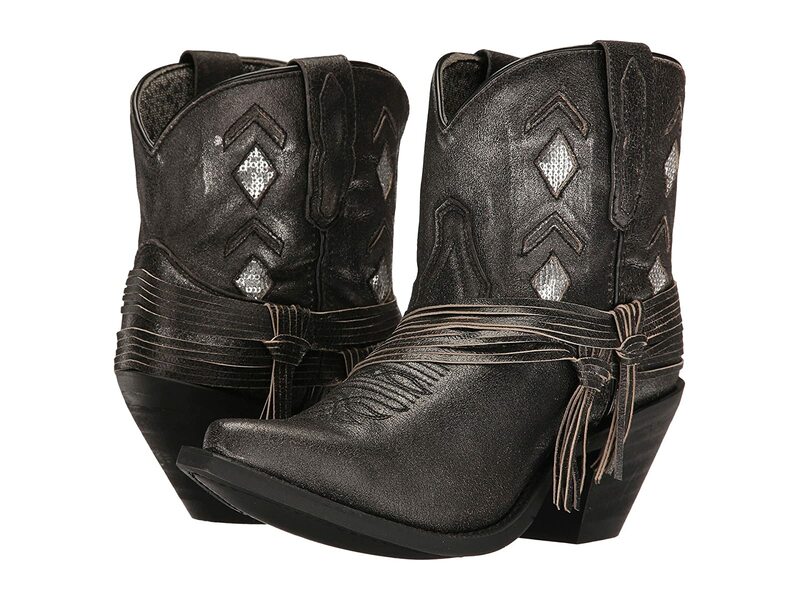 Always feel you are ahead of the Western crowd with the stylish look of the Laredo® Jett boot! Lightly scoured leather upper featuring diamond cut-outs with sequin underlays on shaft. Features elegant wraparound leather straps at ankle. Printed fabric lining for a comfortable fit. Cushioned man-made insole delivers all-day comfort. Rubber outsole for added grip and durability.